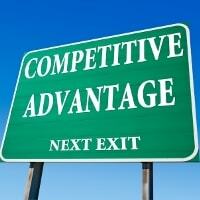 – and how to NOT become a price based commodity business! Notice how the competition is getting stiffer? So what can you do to strengthen your position online? Boost your prospects confidence. So when they see your services, even if they’re not priced online like some of your competition may be doing, their confidence in what you have to offer is boosted and the trust factor is increased. What others say about you is infinitely more powerful than what you say about yourself! It’s all about establishing you as the authority with your website, without trying to ‘sell’. And most websites do this very poorly. Don’t get me started on what I call ‘online brochures’ (your website needs to generate leads). 3 Ways – case studies, testimonials, rave reviews! I was coaching a client last week and we’re about to go “live” with her website – “but I’ve only got one testimonial” she says. So what! I now have 67 but obviously it all started with one. So what are the 3 types of testimonials and the 3 ways to use them? 3 types of testimonials –text, audio and video format. Getting a written testimonial is the easiest IF you time it right! Best time to get your testimonial? When you deliver your ‘goodies’! At this point they’re rapt, over the moon, so now is the best time for a powerful emotional response rather than risk getting a contrived boring blurb. You want emotion because that’s what other people will relate too, and act on. If you can get varied responses for all the elements of what you offer is best. This way more people may ‘relate’ to the rap and then ‘connect’ with your offering, your values or your point of difference! An audio or interview response is great too, especially if you provide training CD’s you can include the blurbs or can display it on your website. But the hands down winner is video. Videos are emotionally engaging and have such a high credibility factor because they can see the person (And easy to use with YouTube plugging it straight into your website)! Plus you can have a video (and audio) transcribed so you have the text as well. We all take info in differently so a mix of all is best. Big Tip: When asking for a video explain it’s also a great opportunity for them to promote their business, which it is. Ask them to say their name, business name and what they do and then the rap for you so that way it’s a win all round. You get a great rap and even more credibility and authority. Here’s where most business owners blow it – Not getting your client’s response straight away. BIG Tip: If they’re a LinkedIn user, get the text rap via the ‘recommendations’ on LinkedIn! Why? That’s the only way to build your testimonials on your LinkedIn profile so you get a double whammy, makes your profile look more professional AND the bonus is you can then use them anywhere, on your website, resume, etc. 3 Powerful Ways To Use Testimonials! The story (the pain and solve the problem), the case study, or just the show and tell. The Story – we all have clients come to us with a problem, that’s why we’re in business right? They can’t get a loan because of extenuating services if you’re a mortgage broker, they haven’t been able to overcome a certain issue if you’re a coach or consultant or whatever the case may be. In this model you tell the story, believe me, many people will relate to it, of how this person had an issue and the story of how that was addressed, and the adversity was overcome, and how much difference it made in this person’s life. You then insert the testimonial into the blurb. It supports that what you say is true, and goes to your credibility, and your authority. EG: See how Tony helped people to look good naked and it saved his business – Look good naked! The Case Study – the more formal professional style. Sort of like telling the pain and solve model but using a more formatted approach. Outlining perhaps the ‘background’ of the client and the issue at hand, the ‘objectives’ to be gained, the ‘course of action’ or ‘implementation’, and then the ‘results’ or ‘outcome’. This is a great model for the analytical demographic. See how Jim managed to update his old boring website into 2012 when he was under the pump for time – Hotwash Australia 2012. OR see how a 2 year long web build process (previous web company) with NO actual website going live went to having a Page 1 website in 3 weeks – woohoo for us! Page 1 in Google! 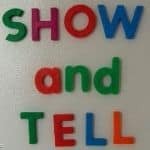 The Show and Tell – just as it’s been given to you. Displaying your client raves and testimonials on your site as it came in, whether it’s in written, video or audio format. You see a list of text testimonials here. Only takes up a small spot but scrolls through many client raves. Simple, quick and easy to do and good leverage from small area on your website! OR the static display in the testimonial sidebar on any page. OR you can see a mix of text and video testimonials on our social media marketing page. One new testimonial by the end of the day! Want to add even more credibility? Add a name, suburb, phone number or even a mug shot. Adds to authenticity! EG: Tracey is so rapt she even gave her mobile number, have a look. Give her a call if you want to check me out. Remember, what others say about you is infinitely more powerful than what you say about yourself! This is a very powerful marketing strategy that you need to embrace fully and use to its full extent. Love your article Peter. Testimonials give social proof and overcome buyer resistence. And by the way everyone this guy knows what he is talking about. Use him, I do ! It’s a subject we’re both passionate about and nearly everyone ‘knows’ about it yet so many don’t do it. And the full success is in the details. THat’s why I focusssed on the BIG 3 – 3 Types and 3 ways on HOW to use them. 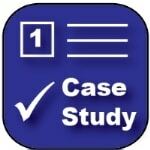 That’s why we’ve added the case studies model – pretty well every client experience we have someone will relate too. Thanks for your kind words Kurt.